So you are thinking about getting a fish tank and believe that the people at the pet store will be able to help you with every single problem? Think again. Many of the large, chain pet retailers will hire anyone with little regard to their fishkeeping skills or knowledge. Small, local stores will often have someone on staff with knowledge about fish, but sometimes this person is old-school and isn’t up to date on current fishkeeping practices like cycling and regular water changes or they just specialize in a few fish like cichlids or livebearers. For the most part, you are on your own. Or are you? There are a great many fishkeeping resources available on the internet for those willing to look. A simple search on google will bring up hundreds of sites if you type in something as simple as “betta fish.” Here I am going to guide you through a few types of common fishkeeping resources. One of the easiest ways to start researching for a fish is to simply type the fish’s name into a search engine. You will get hundreds of results and much more information than you could ever need. Since very little scientific research has been done on fishkeeping, most of it will be opinion. So how do you figure out whose opinion is best? This is the tricky part. You’ll want to look for pieces of information that overlap many sites. For example, if you consistently see that the ruby-throated dace had a temperature range of between 65F (18C) and 72F (22C) then you can feel pretty safe keeping your ruby-throated dace between those temps. For a beginner, this can be a bit overwhelming. Which brings me to my next point. In my experience, forums are the single most-helpful fishkeeping resource. Here aquarists from all over the world can exchange ideas about everything from good plant lighting to breeding a fish that has never been breed in captivity before. My fishkeeping hobby really took off when I joined a forum. I could get answers to my questions fast instead of constantly googling all of my question. If I needed a very specific question answered, the fishkeeping gurus could give me an answer tailored to my situation. Now how do you choose a forum? The first thing you want to think about is whether you want a general aquarium forum or if you want something for a specific type of fish. More often than not, the forums for specific species or types of fish will contain very advanced fishkeepers who have been focusing on this species for years. This is where you will usually find breeders. You will get a lot of great information from these people, but they will probably only be able to help you with that one species of fish. What happens if you want to keep many different species or a community tank? Then you want to look at general fishkeeping forums. The way I found my current one was simply typing in “fishkeeping forum” into google. Now you want to look at how active the forum is because the more activity, the faster your questions will get answered which is very important when you run into a major problem. You can check the activity by looking at the number of users online in the past 24 hours, when the last post in a section was made, and the number of currently active users. Many forums have this information posted somewhere on the front page. Generally, the more users a forum has the more active it will be. Now you want to look at the threads and posts. Are the signatures large and obnoxious? Do the posts look like thought out commentaries or short responses that don’t say anything of substance? Do the users appear to jump down each other’s throats at the slightest hint of a disagreement? You have to ask yourself, are these users the kind of people I want to talk with and get advice from for what could be years? Another good tool (if it is available) is to look at the user’s tanks and posted pictures. While this isn’t always an accurate read of how reliable a forum is, you’ll get a good idea of what the users can do with their own tanks and how they could help you. There are a few renowned fishkeeping magazines available today, and the best part about them is that you don’t need a subscription to get a lot of articles. Practical Fishkeeping (a UK magazine) and Tropical Fish Hobbyist (a US magazine) are two of the best in the world. Aquarium Fish International is another good US magazine. 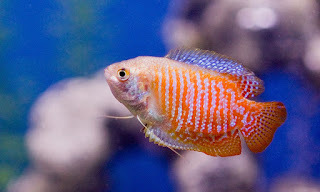 Often times these will feature more advanced fishkeeping articles, but there is still a lot of information there that the beginner aquarist can use such as good and bad community fish and proper care articles for a lot of species. If you live in a populous area, you have another option: aquarium clubs. If you want to keep a specific fish like guppies or koi or cichlids, you can often find clubs devoted to these fish. The best way to find aquarium clubs is simply using a search engine because they don’t usually advertise much. Once a month most clubs will hold a meeting where members can bring in excess fish or plants and either trade or sell them to other members. Like the magazines, clubs tend to be for the more serious fishkeeper. Since this is a lot to digest, I’ll give you examples of my favorite resources to get you started. By no means are these the only good fishkeeping resources. I have a subscription to the magazine, and I am constantly browsing the website. I reference articles here all the time. The website has information about keeping the common species as well as more advanced information about setting up biotypes and breeding. Many of the articles and blogs take a light-hearted approach such as the “Which type of fishkeeper are you?” and “It’s me or the fish.” There was even an “advent calendar” of colorful and common fish last Christmas. It’s not worth subscribing if you aren’t a serious fishkeeper as it is expensive, but the website and forum are certainly good resources for the beginner. Another excellent (and a little cheaper for those of us on this side of the pond) fishkeeping magazine is Tropical Fish Hobbyist. I find the website a little hard to navigate, but the magazine is great (I also subscribe to this periodical). Like PFK it also has a forum that is stocked with wise fishkeeping minds, and the writers from the magazine will periodically post there, too. I came to this forum after my old one went inactive. The wide range of users here can help you with everything from the basic problems of cycling an aquarium to setting up and maintaining beautifully aquascaped tanks. Not only does this site have a forum, but there is a large section for freshwater and saltwater (but I never look there) fish profiles. Unlike Seriously Fish, they also have some invertebrate and plant profiles. Up until now, all the resources I have posted are general fishkeeping sites. In the forums there are subforms devoted to specific species if you are interested, but the majority of the forum encompasses a broad spectrum of fishkeeping. Now on to the specialist sites. This is a goldfish specialist forum. I am also part of this community. Great people here. It is much smaller than the TFK community, but still as active. There are a few breeders here and people who have been keeping goldfish for as long as I have been alive. Very smart people. The forum is rather international with many users from places such as Canada, the UK, Australia, and Italy. On top of the forum, the users there have written many articles through the years on goldfish-specific care including quarantine procedures and how to make medicated food. 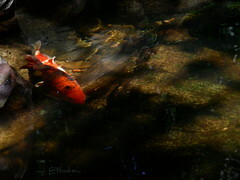 This is just a forum that is devoted to betta fish (Betta splendens). I am also part of this forum. 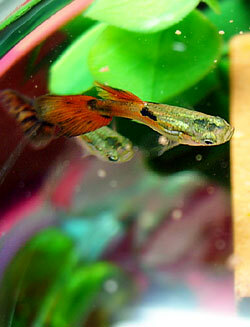 They have many dedicated and knowledgeable betta keepers and breeders. With forums devoted to betta care, compatibility with other species, and breeding, it is a great resource for the budding betta keeper or a good community for the experienced keeper looking to expand the hobby. Unlike the previous two websites, this is not just devoted to a single species. Loaches encompass two families of fish: Cobitidae and Balitoridae. This website has care requirements and a profile on almost every single loach species found in the hobby today. This is the first site I go to if I have a question about loaches (some of my favorite fish). Just like Loaches Online, Planet Catfish is devoted to a class of fish (Siluriformes) instead of just a single species. It is a must-read for anyone who wants to keep a catfish. From the cute cories (Corydoras spp) and the common pleco (Hypostomus plecostomus) to the twig catfish (Farlowella vittata) and bumblebee catfish (Pseudomystus siamensis), this website has them all.